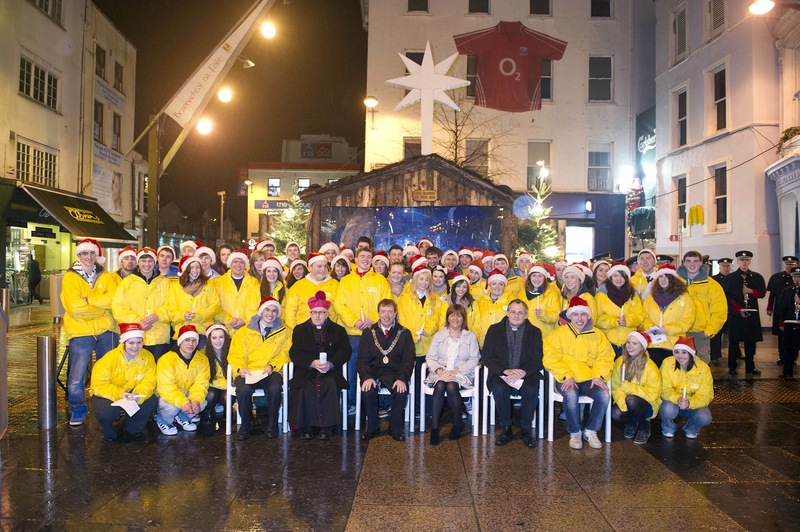 SHARE fast and collection marks start of Cork Christmas! For Cork people, the SHARE charity fast and collection by the second-level school students of the city marks the start of Christmas. The focus is the SHARE crib at Daunt Square, which, this year, was blessed on Thursday evening 15th December by the Reverend Rupert Moreton (representing Bishop Paul Colton) and Monsignor Kevin O’Callaghan (representing Bishop John Buckley). Students from Cork’s second-level schools will fast and collect every day until Christmas Eve in aid of SHARE which has been supporting the elderly of Cork for 41 years. This entry was posted in Community Involvement, Diocese. Bookmark the permalink.